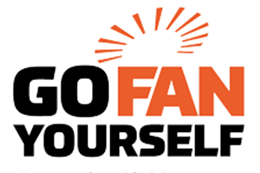 Go Fan Yourself is the visionary company that redefined and reinvented the HVLS fan industry with the Z-Tech™ Fan. Our passion for innovation and for doing what’s right drives us to create the world’s best big fans that blow our clients’ minds. Go Fan Yourself clients save money, boost productivity and enjoy a partnership with a manufacturer they trust to keep it cool.